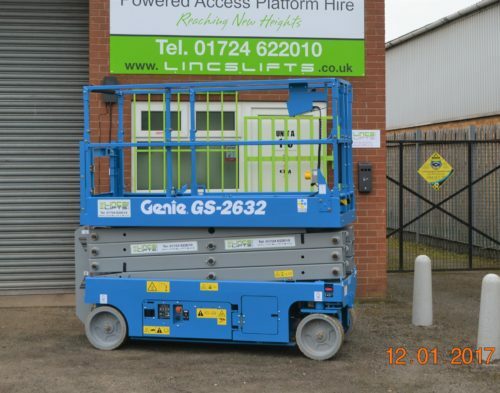 New Genie GS5390 Diesel Scissor Lift! 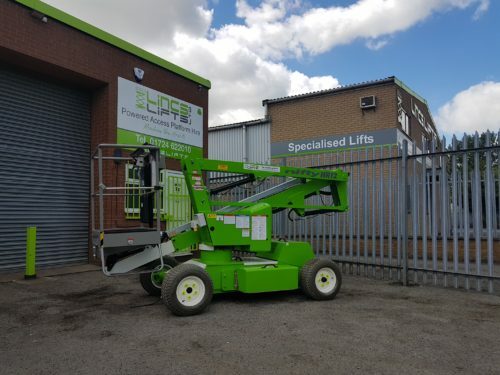 The Height Rider 21 4×4 (HR21 4×4) self propelled cherry picker will lift 2 persons and their tools to a working height of 20.8m or a working outreach of 12.8m. Proportional controls deliver smooth, measured operation while 100º cage rotation and 150º fly-boom allow precise positioning anywhere in it’s vast working envelope. 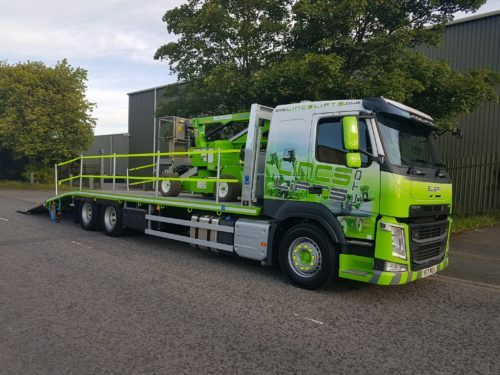 Weighing just 6,500kg, the HR21 4×4 combines innovative weight and space saving design with an excellent turning circle to deliver outstanding manoeuvrability on-site and lower transportation costs. With its TIER IV (Euro stage IIIB) compliant Diesel engine the HR21 4×4 provides ample power to its powerful 4-wheel-drive motors delivering superb traction, even on rough terrain. 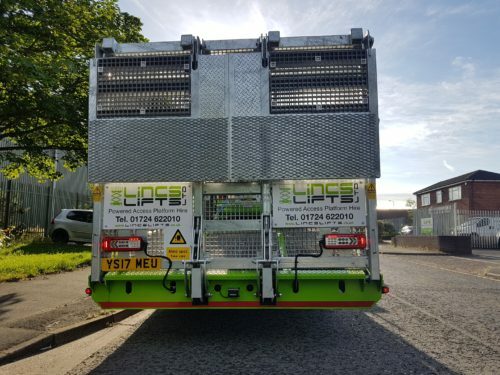 The HR21 4×4 also incorporates Niftylift’s ToughCage, and multi-award winning SiOPS® safety system which eliminates sustained involuntary operation by instantly stopping machine movement if the operator is pushed onto the control console. 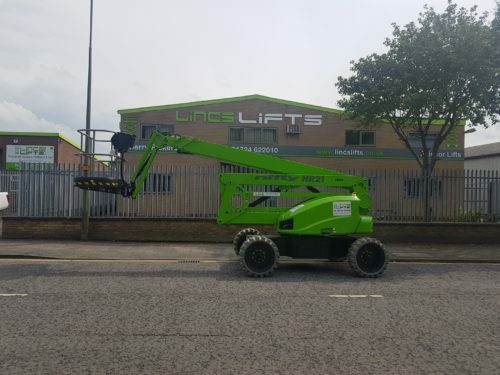 Lincs Lifts have just taken delivery of a new Nifty HR12 Hybrid and Nifty HR17 Hybrid. Please call the hire desk for all your powered access requirements across Lincolnshire. New Genie’s Added To The Fleet!! 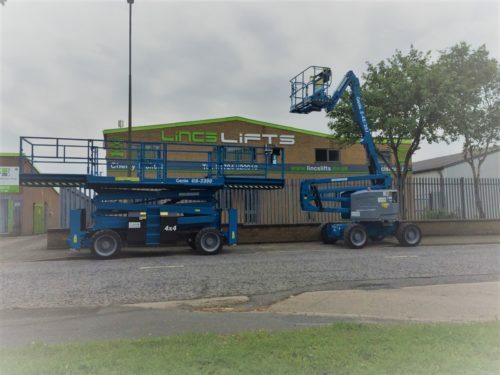 Lincs Lifts Ltd have just taken delivery of a Manitou 100 VJR, Genie 3390 RT diesel scissor lift and a Genie Z45 /25J diesel boom. We also have a Nifty HR12 NDE, HR17 N Hybrid and a HR21 Hybrid coming in to stock on the 12/07/17 along with a mix of electric scissors. 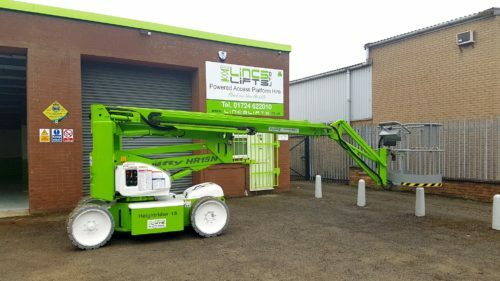 Please contact our hire team on 01724 622010 or visit www.lincslifts.co.uk for all your powered access requirements across Lincolnshire. 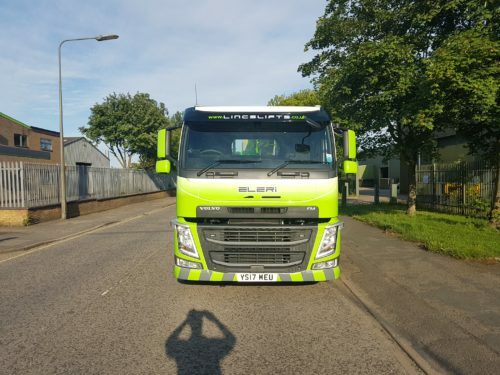 New Volvo FM Truck Joins The Fleet!! Lincs Lifts has taken delivery 1 of 2 new FM volvo trucks. The new truck has all the latest Volvo equipment on board with the latest safety features. The truck is on it’s first delivery today helping to meet customers delivery times so please look out for it delivering to your site. 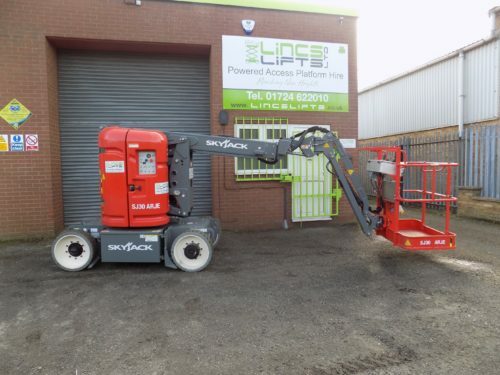 Lincs Lifts Ltd have just taken delivery of a Skyjack SJ66T Telescopic Boom. Please call the hire desk on 01724 622010 or visitwww.lincslifts.co.uk for all your hire needs across Lincolnshire and surrounding areas. 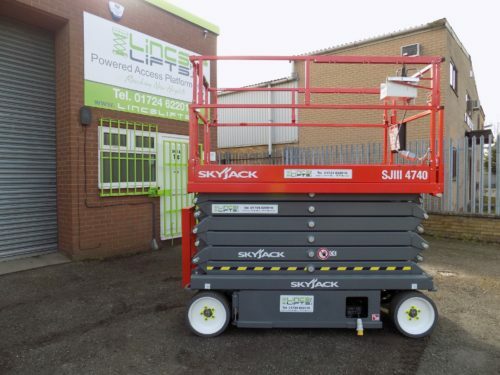 More Skyjack’s For Lincs Lifts Ltd! NEW FLEET!! 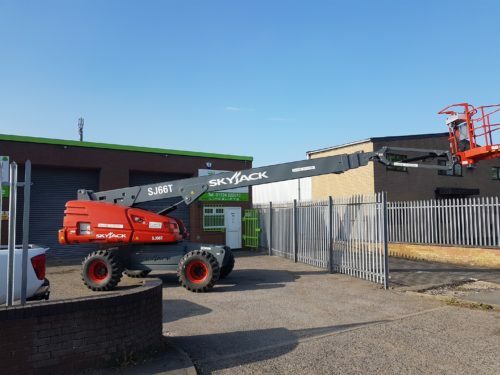 Taken part delivery of a large order of new Skyjack machines today, including 19′ and 26′ Scissors. Now waiting on the rest of the delivery, which includes diesel scissors and electric booms. www.lincslifts.co.uk or telephone 01724 622010. 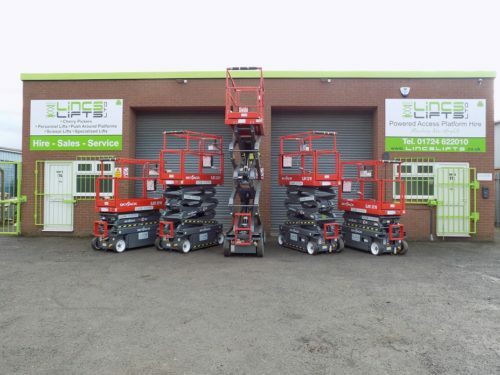 Genie GS-2632 Scissor Lifts Added To The Hire Fleet! 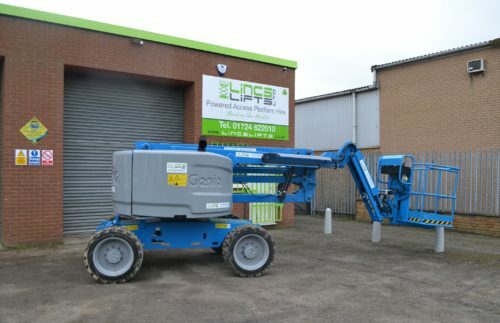 New Genie Z45/25J 4 x 4 Diesel Boom Joins Fleet! • Lifting versatility with “up and over” positioning and excellent outreach. The Z™-45/25 J RT features a standard 1.52 m (5 ft) jib boom for better positioning and smooth control. • A tight turning radius and zero tailswing allow unmatched manoeuvrability in confined work areas. • Get the job done faster and more efficiently with a powerful combination of speed and gradeability. Genie’s full-time positive drive traction system and active oscillating axle work together based on ground conditions to help keep the machine moving without losing traction on rough terrain. • Powered turret rotation lets you move the boom exactly where you need it. • The Z™-45/25 RT platform features a 180° hydraulic rotation. The Z™-45/25 J RT platform features a 160° hydraulic rotation plus the jib boom. Both models also include a self-levelling platform feature offering the same platform level through the entire range of motion. 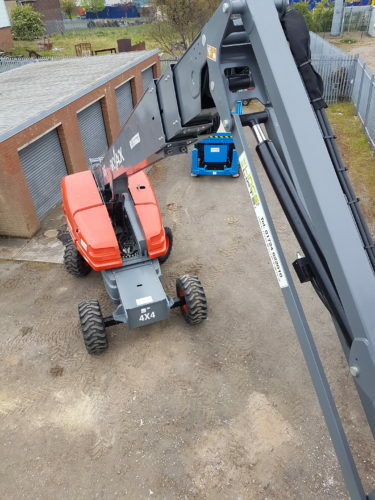 New Nifty HR15 NDE Cherry Picker Arrives! The new Height Rider 15N (HR15N) will lift 2 men and their tools to a working height of 15.5m or a working outreach of 9.7m. Its practical 180° rotating cage and fly-boom coupled with fully proportional multi-functioncontrols deliver exceptional precision when positioning, making tasks quicker and easier to perform. An impressive working outreach with zero tail-swing helps the HR15N to reach awkward jobs, especially when space is limited, and its super-efficient power system allows the batteries to work for longer, so more tasks can be completed and running costs reduced. The HR15N’s 1.5m width and sub 2m height enables travel through restricted spaces. Optional non-marking tyres mean that it can work both inside and out making it ideal for industrial or maintenance work. The HR15N is available with two power options. You can chose from a super-efficient battery-only power system, or Niftylift’s revolutionary Hybrid system, delivering the ultimate combination of environmentally conscious efficiency and performance. 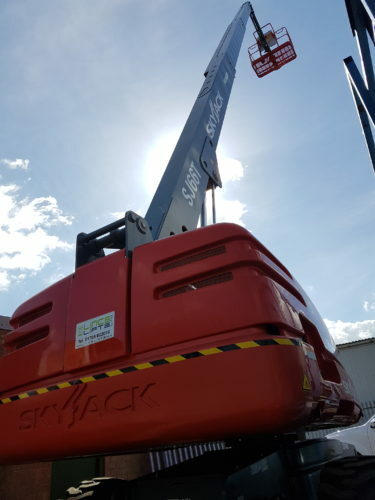 For more information regarding the HR15N or any other self propelled cherry picker, including the HR12N and HR17N, please contact us. 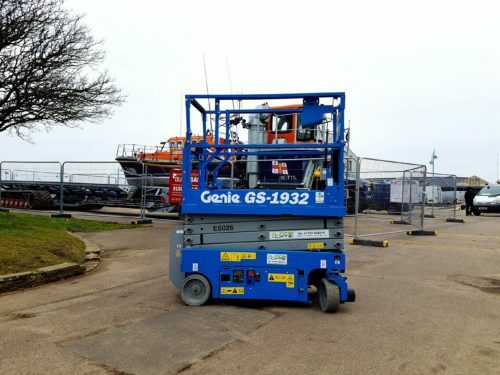 Five New Genie GS-1932 Scissors Added To The Hire Fleet! 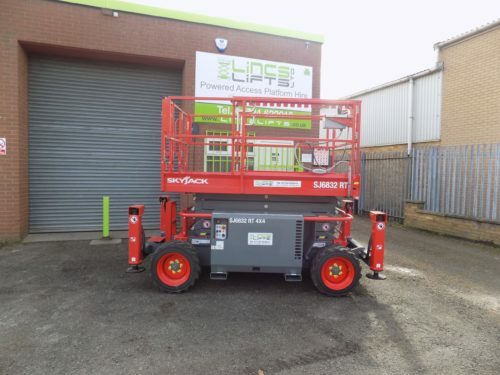 The Genie GS-1932 scissor lift combines the benefits of being a heavy duty and rental ready machine, that is compact in size, with extendable maneuverability. The centered link stack positioned under the platform provides even weight distribution and stability for the operator, while the zero inside turning radius provides precise steering in congested work areas for enhanced productivity. 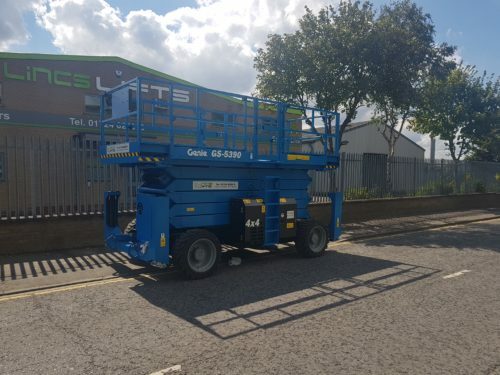 The fast lift times get you to the work site quickly which means the Genie GS-1932 scissor lift is well suited for general indoor construction and maintenance. 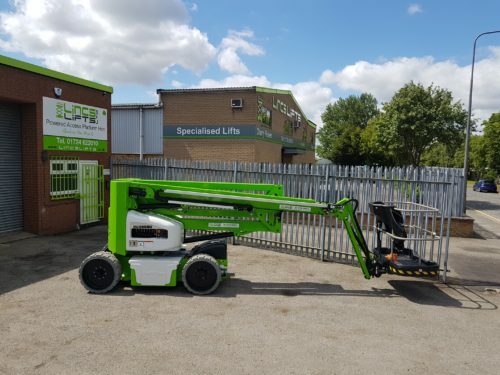 Its key features include the smooth proportional drive and lift controls for precise positioning, easy to roll out extension deck which provides an additional 900 mm for up and over reach and added platform space and multiple disc brakes for smooth deceleration. Please call the hire desk for more information and hire rates.